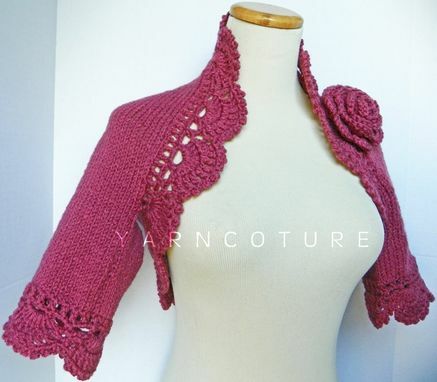 Make your next night on the town special with this hand knit lacy shrug made from easy-care acrylic yarn. 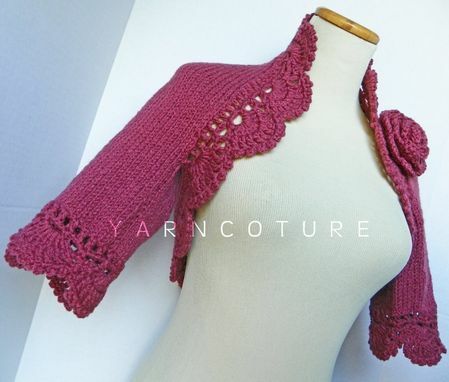 Featuring a delicate but sturdy crocheted trim, this beautiful lacy shrug will certainly do the trick as it will keep your shoulders warm on cool summer evenings, working in a chilly office or just when you want to add a little femininity to your outfit! 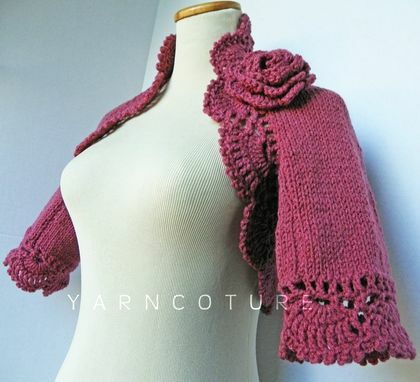 The short to three quarter length sleeves makes it just perfect for wearing in all types of weather. 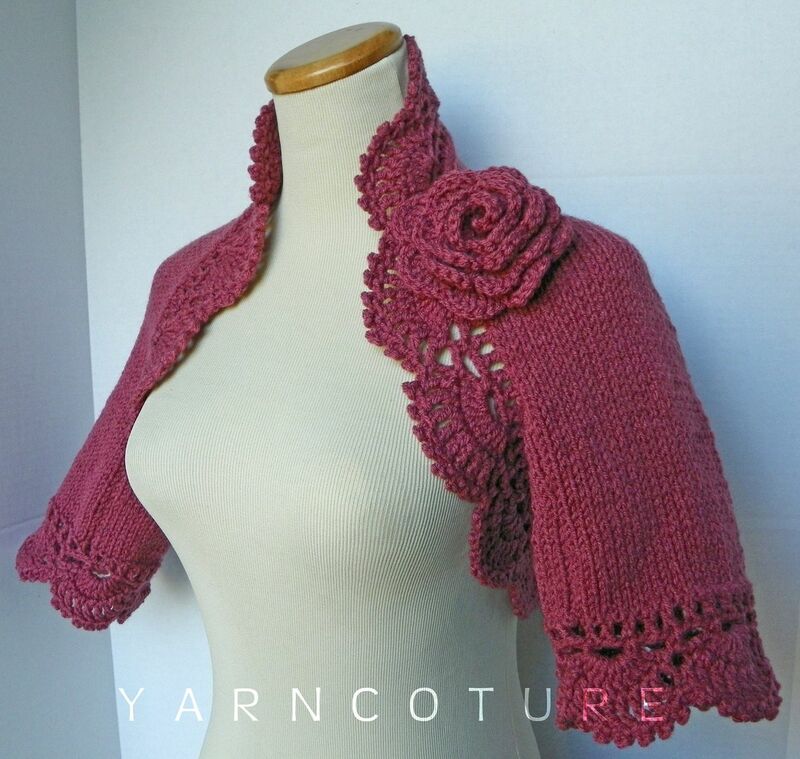 There is a detachable pretty crocheted rose brooch that can easily be removed if you so desire, making it a cute accessory that can be worn with a scarf, on a hat or your favorite winter coat. Definitely a fashion must ! 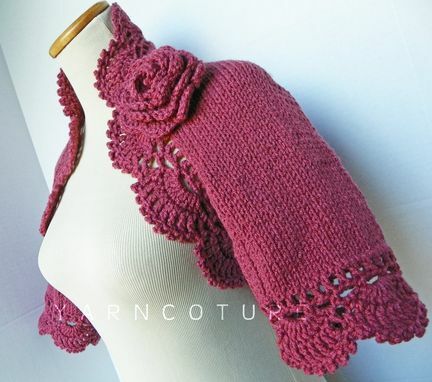 THIS LISTING IS FOR THE ROSE COLORED SHRUG PICTURED.